The ZBD97 (also known as Type 97) is the tracked infantry fighting vehicle (IFV) developed for the PLA in the late 1990s. The vehicle features a Russian BMP-3-style turret armed with a 100mm rifled main gun and a coaxial 30mm cannon. The vehicle was designed to provide protected transport for an infantry squad on the battlefield; to provide fire support for dismounted infantry, and to engage enemy tanks and armoured vehicles. 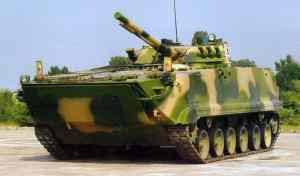 The ZBD97 is currently equipped by the amphibious mechanised divisions in Nanjing and Guangzhou Military Region. An armoured recovery vehicle (ARV) variant was also developed. 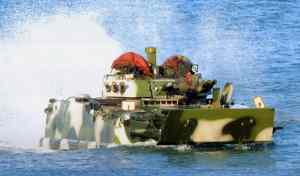 Traditionally, Chinese-made armoured fighting vehicles all had limited amphibious capability for river crossing operations. However, these vehicles were generally incapable of long distance swimming in the sea for amphibious assault role, while dedicated amphibious warfare armoured vehicles suffered from thin armour protection and weak firepower. 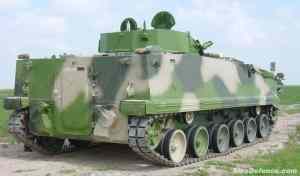 Driven by the growing tension between China mainland and Taiwan in the mid-1990s, the PLA began to develop a dedicated amphibious IFV which still retained strong firepower and armour protection for land warfare. The resulted ZBD97 was introduced in the early 2000s. 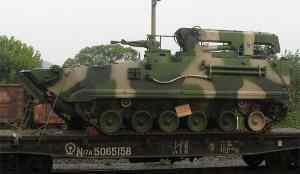 The photo of a new IFV undergoing road testing began to speculate on the Chinese Internet in 2003. The vehicle appeared to be under certain influence of the Russian BMP-3. 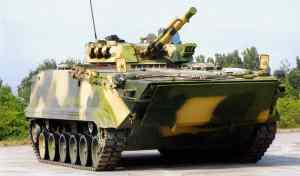 The new vehicle, which was reportedly designated ZBD97, used a two-man turret almost identical to that of the BMP-3, though its hull appeared to be a new design. Some reports suggested that China had obtained the BMD-3 fire-control and associated laser missile guidance system technologies from Russia in the late 1990s to be used in the development of its own indigenous IFV. Although no much detailed information on the performance of the new Type 97 IFV is available at this stage, the vehicle is expected to be comparable to the BMP-3 in general performance. Armed with an automatically loaded 100mm main gun and a 30mm coaxial cannon, the Type 97 outperforms most armoured combat vehicles in firepower. When facing heavier enemy armour, the vehicle relies on the gun-fired laser-beam riding anti-tank guided missile (ATGM), which can penetrate the armour of any current armoured vehicle or even shoot down slow-flying helicopters. The vehicle appears to be fully amphibious, making it suitable for the use of the Marine Corps and amphibious mechanised infantry troops. 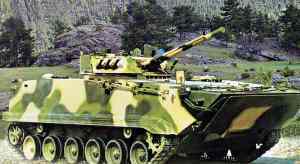 Unlike the BMP-3’s rear-mounted powerpack arrangement, the BMD97 uses a conventional front-mounted powerpack layout, with the liquid-cooled diesel located at the right front of the hull. The drive’s hatch which mounts three periscopes is located on the left of the hull immediately in front of a passenger hatch. The two-man turret is mounted in the middle section of the vehicle. The gunner’s hatch on the left has a thermal image sight and a box-shape device for ATGM guidance. The commander hatch is on the right. The troop compartment is located on the rear of the vehicle. There are two large hatches on the troop compartment roof, and a single exit door in the rear. There are two observation ports on the left of the hull, one on the right side and one in the exit door. Three firing ports (left, right, and exit door) allow the infantrymen to fire assault rifles and light machine guns from inside the vehicle on the move. The vehicle has a three-man crew, including the vehicle commander, drive and gunner, and can carry 5~7 infantry soldiers. The vehicle is believed to be fitted with a collective over-pressure NBC protection system. The vehicle has six unevenly spaced road wheels, with three track support rollers and a front drive sprocket on each side. The vehicle features strong amphibious capability, with two large water jet ports on the rear of the vehicle for high-speed swimming. The vehicle is fitted with a hydraulically actuated wave fence at front, which can be raised to prevent the front section of the vehicle from being overflowed when travelling on water surface. The vehicle is believed to be powered by a water-cooled diesel engine. Transmission is hydromechanical with a hydrostatic gearbox for the steering gear and power take-off for the water jets. The road wheels and rollers are all rubber-tyred. Torsion bar suspensions with hydraulic shock absorbers are fitted on the 1st, 2nd, and 6th road wheels. The metallic tracks are fitted with removable rubber pads to improve the comfort of the passenger. The main armament of the vehicle is a 100mm semi-automatic rifled gun which is stabilised in two axes and can fire both HE-FRAG (High Explosive-Fragmentation) rounds and Chinese indigenous anti-tank guided missiles. The main gun is equipped with an automatic loader. The effective range of the HE-FRAG round is estimated to be 4,000m, with a total of 40 rounds carried inside the vehicle. The rate of fire is 10 rounds per minute. The 100mm main gun is also capable of firing the Chinese indigenous ATGM, which was derived from the Russian Bastion missile system (NATO codename: AT-10 Stabber). The missile can engage tanks with explosive reactive armour (ERA) as well as slow, low-flying targets such as helicopters. Range is 100~4,000m. Hit probability is given as at least 0.8 with armour penetration of 600mm. Ammunition load is 8 rounds. The secondary armament includes a 30mm cannon, stabilised in two axes, which fires AP (Armour-Piercing) and/or HE-FRAG rounds. Rate of fire is more than 300 rounds/min and range is 1,500~2,000m. A 7.62mm machine gun may also be fitted. The vehicle has a 3-barrel smoke grenade launcher mounted on both sides of the turret.